Hi, i have been using Windows 8 Consumer Preview Version. I have some unwanted process running in my system. I wanted to kill those processes running in my system. Can somebody help me to kill those processes running in my Windows 8 system? Is there any limitations in the Windows 8 Consumer preview that it will support particular device only? Windows 8 is an advanced version you need to concentrate on the options carefully. Killing a process in Windows 8 is same process as in the previous versions. 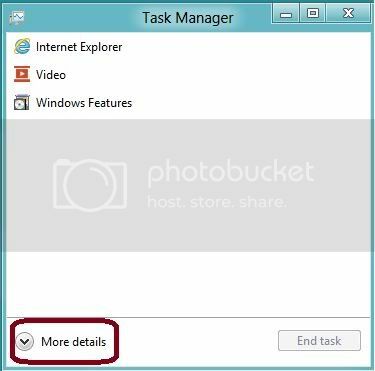 In order to kill a process in Windows 8 go to Task Manager (by pressing Esc key while holding Ctrl+Shift) then select More details > Select the desired Task and end it. The processes are the background operations those run to execute a number of tasks you have entitled the Windows to execute. A lot of process means a lot of blocked memory as the processes take addresses from memory and do their job there. Sometimes a number of processes are operational but they are not exectly doing anything other than running and occupying space in the memory. Virus, malware, worms infect those files attached to the processes and meaninglessly run them and in the process makes the system unfriendly to the user. 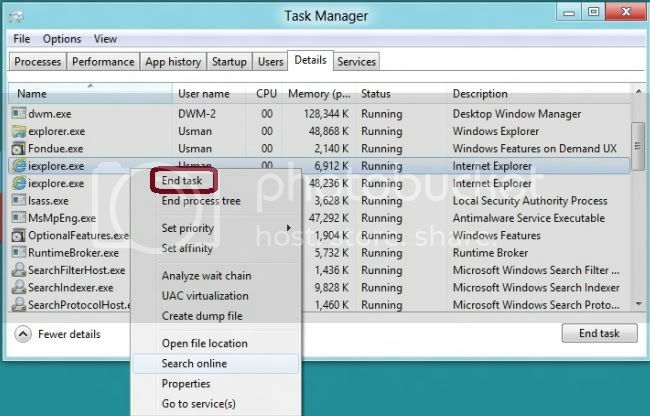 To deactivate a process go to "Task Manager" by pressing CTRL+ALT+DEL simultaneously, you will find a number of processes running. select one by one and "End Task" them. => Press "Ctrl + Alt + Del"
=> A new window will open click on "Task manager"
thus you can end the process and in same way you can also end the applications you are running. 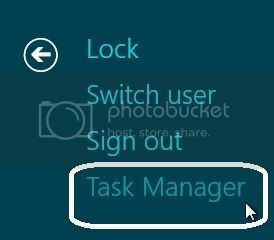 How to Terminate Processes with Task Manager in Windows Phones?